So let me start off by saying that I love myself a good old rug. Not old as in the Pottery Barn rug you bought back in 2000 that has found a new home in your husband's man cave, because you don't care what happens to it at this point. We are talking hand woven Persian rugs that are probably older than Keith Richards looks. So really old. 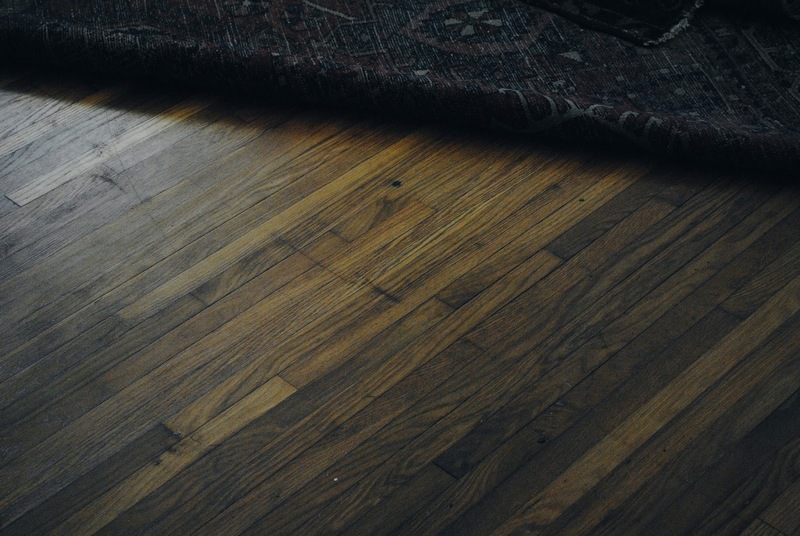 While I don't want to turn this into a whole post about my love affair with the antique beauties (I'll save that for another time), I do want to discuss the best way to keep them and your floors looking better than Keith Richards looks. So not horrible. Now you might be tempted to disregard this blog post due to lack of excitement and inspiring pictures, but if you do not currently use rug pads (or use the cheap ones found in the household section of Walmart) then any excitement you might get from another blog post will be trumped by the terror that results when you see your hardwoods after a rug has been down without any protection (or the wrong sort of protection). Don't believe me? Let's test it out. If you currently have had a rug in your home that has been down for at least a few months with a cheap pad or no pad at all, then go and look under it. I'll wait right here until you get back. So what did you find? My guesses are dirt and dust at the very least, but discolored wood and markings at the worse. None of which are ideal and all of which are completely preventable if you invest in a quality rug pad. So here is the low down if you like something more factual than visual (or don't own a rug or pad at all yet and want to weigh your options before getting either). Now that I listed the problems with low quality pads, how about I share with you the benefits of investing in quality pads. I mean, obviously I was going to provide a solution for the problem I was presenting. Here it goes. If at this point you still don't want to spend a little extra for a healthy home with floors that you won't have to one day repair, then whatever. I'm not going to judge. I'll just be hanging out on my super cushiony rug pad waiting for the day you ask me how to fix your hardwoods. I've got a solution for that woe, too. 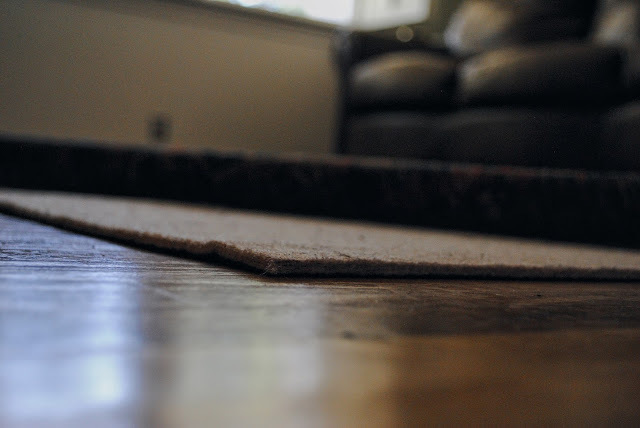 This post was sponsored by Rug Pad USA, though all opinions are my own. Actually, in my opinion they are the go-to for rug pads. Each rug pad is hand cut in the good U S of A; all orders ship fast and free; and they are offering my readers 15% off their next order. Simply use PR15OFF at checkout. No expiration date, because they are that awesome.